"...I have a lot of guest bloggers on Basic Blog Tips but I also turn away a lot of them because on my contact form I clearly state where to go for the instructions and requirements for guest blogging. When people bypass this, I get a pretty good idea that they are careless or some other undesirable characteristic and it’s my first level of weeding out those bloggers..."
In the end, I decided that perhaps I need to be more proactive and explain the instructions and requirements for guest authors more clearly. I recorded an episode of the Ms. Ileane Speaks podcast to encourage anyone who would like to become a guest and let people know how the system works. After you've had a chance to listen to the podcast and if you're still interested, use the contact form to send me your request. Please feel free to contact me if you have any questions about guest blogging. You can also visit Hesham's blog and submit a guest post there if you like. 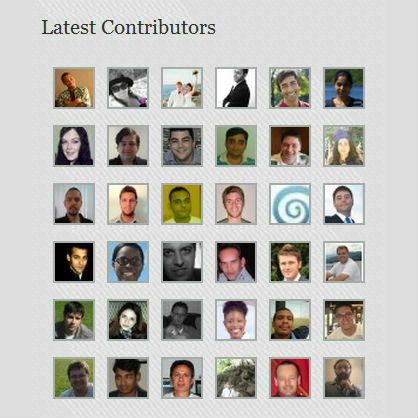 You can read all of the guest posts on Basic Blog Tips and get yourself featured in the Latest Contributors widget like this wonderful bloggers. So what do you think? Are you interested in becoming the next guest blogger featured on Basic Blog Tips?